You can ask Nostradamus, Madame Zenda or your mate who has picked five Melbourne Cup winners and get answers as reliable as any as to where the market for Aussie enthusiast cars is headed. The process of assembling a Guide like this involves looking at a lot of cars that have been offered for sale plus the ones that did sell and trying to analyse contradictions that can be bewildering. 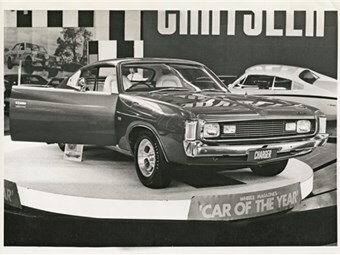 We have seen during the past two years a burst of activity in the upper reaches of the collector vehicle market, culminating in the first documented sale above $1 million for an Aussie-made, road-spec muscle car. The natural reaction of vendors might be to push their cars onto the market with asking prices well above reality. Buyers in response might suggest that the bloke with the car for sale was ‘dreaming’ but they might also rush the market to secure the ‘car of their dreams’ before someone else does. For a top end ‘boom’ to work its way through to the lower levels, conditions need to be quite specific. There needs to be an impending shortage of vehicles or a lot of unallocated cash. Neither seems to apply at the time this is being written in the winter of 2018. Borrowings against home equity has traditionally funded ‘recreational’ motor vehicle sales and accompanied an upward spiral in residential property prices. That market is currently taking a breather and anyone who doesn’t need to sell their house is going to stay put until better times return. That means fewer requests to mortgage providers for a re-draw and less pressure on the vehicle market. What you can do of course is cash in a recent model that is suffering terminal depreciation and use the proceeds to fund something older, more interesting and that isn’t going to lose value faster than last Friday’s lamb roast. Cars that are 30-40 years old and in sound mechanical condition still manage remarkably well when asked to accept the role of regular transport. The only major downside will be the absence of air-conditioning or a/c that doesn’t work very well that will make commuting during the summer months a sweaty experience. Some possibilities? Ford buyers tend to view XE and XF Falcons as second-tier because they mostly come with six-cylinder engines. However, that alloy head six, especially when hooked to a four-speed manual ‘box and with all-disc brakes still make for a practical and enjoyable sporty sedan. Looking to the other side of the fence, $10,000 will easily fund a late-1990s Holden Calais or Statesman. In the four-cylinder market we’ve looked this time at Ford’s Capri and the 1970s Gemini which both offer good buying. In the mid-size market there are six-cylinder Cortinas and Toranas and from outside the mainstream, Nissan’s Skyline Silhouette. Certainly some food for thought while waiting to see where the latest Aussie car value rollercoaster will take us.